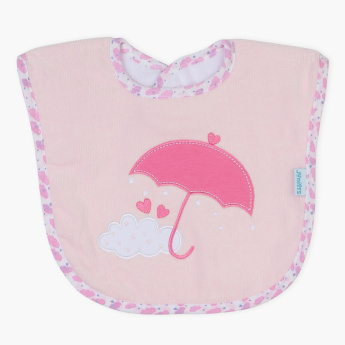 Juniors Applique Detail Bib | Multicolour | Helps to protect baby cloth from getting stain. Utilitarian and attractive both, this bib is a great pick to put your baby-feeding woes to an end. It features a vibrant umbrella shaped applique detail and a printed floral border. 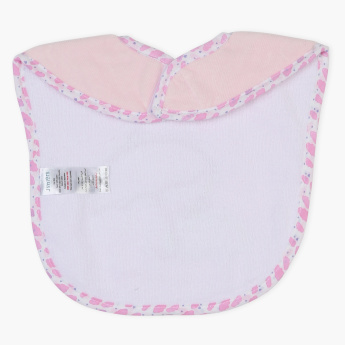 It is crafted from superior quality soft material which is easy on your baby's skin.